When Frenchman Mike Di Meglio won Ajo Motorsport’s first world championship in November 2008, it launched the team’s glory years. Now it is a highly respected unit in the world championship and the man behind its success is Aki Ajo of Finland. Back in 1996, Ajo suffered a serious injury when he crashed out of Finland’s National Championship. He fractured his thigh and his hip joint, and while lying in his hospital bed, he realized that his racing career was over. Up until then, Aki he had spent much of his life racing motorcycles both on the road and the ice. He was a 10-times Finnish champion and had no intention of giving it all up. While racing, he had also picked up a bit of experience in the international scene. He had finished sixth in the European Road Racing Championship, but regrettably, his attempt to enter the 125cc world championship to race with Team Santa Claus in 1994 did not work out for him. 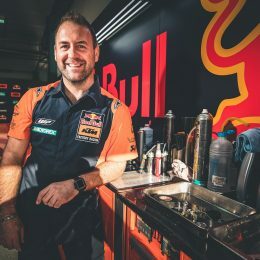 At this pivotal point in his career, the man destined to become one of the most admired team managers in the MotoGP paddock was short of both financial resources and experience. He also had few insider contacts to launch a new venture, but he was motivated, he was passionate about motorcycle racing, and most importantly he was ready to work very, very hard. He channeled this energy and in 1996 created Ajo Motorsport. The team was on its way. 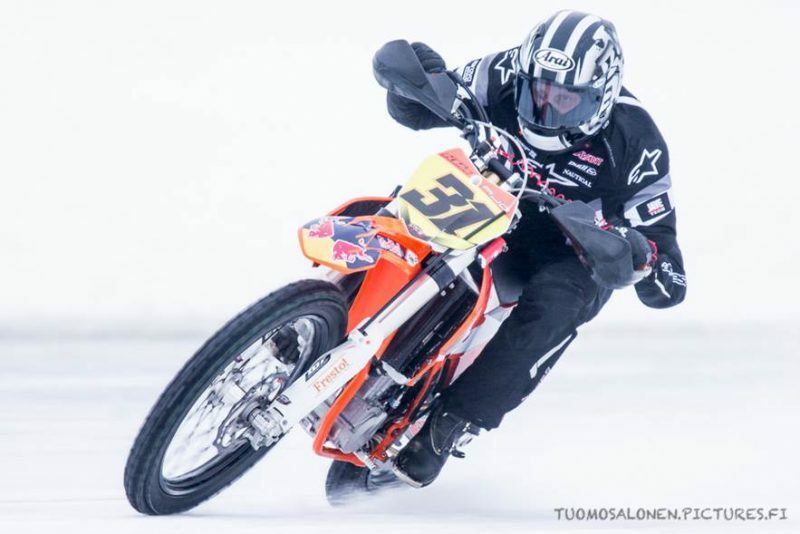 Ajo Motorsport began to compete in ice road racing events, and step-by-step extended into the bigger competitive racing scene. Initially, it was small and operated on a tight budget, but Aki understood the importance of having his riders look the part, and to have their sponsors’ logos visible. His sister stepped in and made all the gear for his ice road racing team according to his wishes. Aki has always understood the business of racing, and he knew that the only way to have the best riders and engineers – and to evolve into the best team – was to have a solid financial footing. Even when he was a boy, he had financed his motorcycling hobby by fixing old mopeds and selling them at a good profit – an activity that also laid the groundwork for his excellent technical skills. His profound understanding of how the bike works, and even more important, how to continually improve it, has played a significant role in the team’s early success. In 2001 Aki knew it was time to take another step and broaden the team operations to international level. 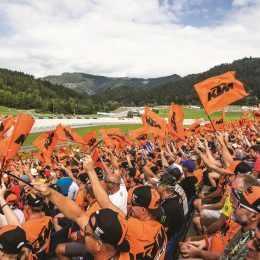 At the same time another Finn, a 19-year-old racer called Mika Kallio, whose father used to compete with Aki, was hoping to work his way up to the top level of racing. 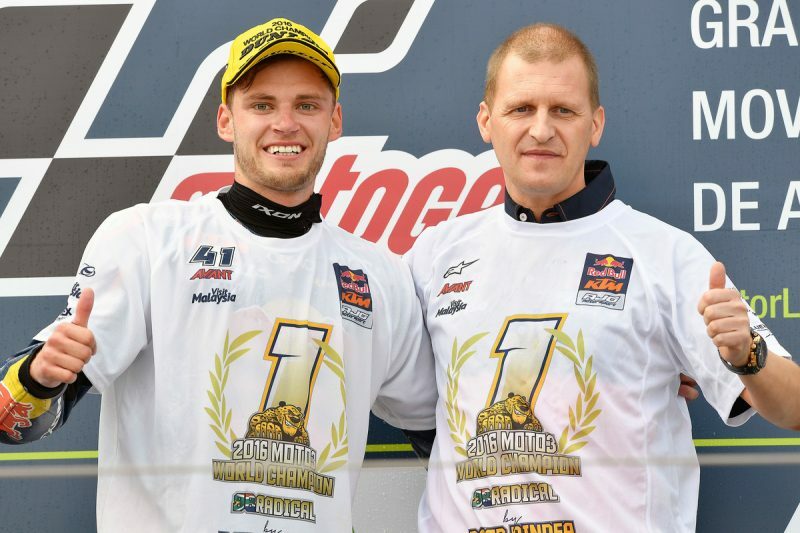 Ajo and Kallio joined forces and entered the world championship series in the 125cc class. Their first full season was in 2002, and they had very positive results. Mika was frequently in the top eight, and with a fifth place as his best finish, he was named “Rookie of the Year” at the end of the season. 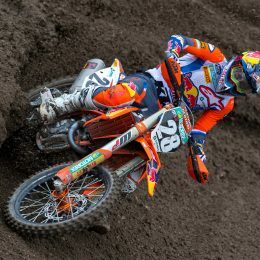 Then in the middle of 2003, Mika got an offer from Red Bull KTM Factory Racing that he couldn´t refuse. While this could have been a setback for Ajo Motorsport, the talented team manager decided to turn it to his advantage. He focused on having more than one rider and took the team to a higher level in international racing. Meanwhile, Aki had also developed the skill to recognize up-and-coming talented riders who aspired to go all the way. After enjoying success with Di Meglio, he signed a contract with a Spanish rider called Marc Márquez, who won the first of his many world championship titles with Ajo Motorsport in 2010. Two years later, German rider Sandro Cortese won the team’s third small class world championship, Ajo Motorsport’s first Moto3 title. But there was more to come. Aki’s team made its debut in the Moto2 class in 2015 with French rider Johann Zarco who rode his way to the title in the medium class. Then last season, Ajo Motorsport made history by winning both Moto3 and Moto2 classes when South African Brad Binder won Moto3 class, and Zarco picked up a record points haul to retain the Moto2 title. 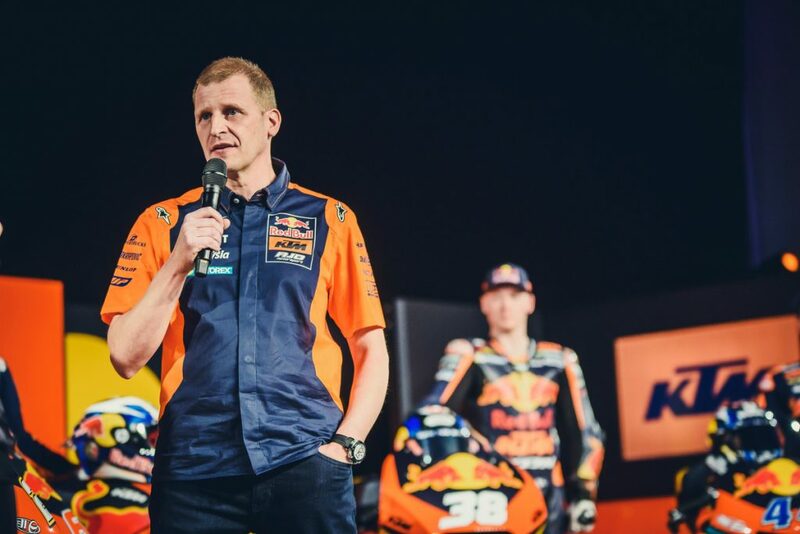 Ajo has also extended his manager skills beyond the ranks of his team to become the personal manager to riders like Maverick Viñales and Jack Miller, who under his guidance have both advanced to the premiere MotoGP class. Miller, who raced with Ajo Motorsport in Moto3, even advanced straight to MotoGP after finishing runner-up in the small bike category. Aki is also busy with his Ajo Motorsport Academy, which operates out of Spain and is the perfect incubator for possible future champions. But almost two decades on the international racing circuit can be very demanding. Aki spends around 200 days away from home every year and when changing flights at airports, has even been known to check his end destination with his traveling companions at airports. Aki’s life is a whirl of activity – tests all over the world, racing-related meetings, and 18 GPs on the calendar invariably result in a very stressful life. Fortunately, he also knows how to relax. He is often seen on Finland’s frozen lakes, getting in some ice racing either with his son Niklas, or his team riders who he often brings to Finland to practice. Last year Aki even took part in the Finnish Ice Road Racing Championship Veterans Class and celebrated his return to racing with a clear victory. Now, ahead of the 2017 MotoGP season, Ajo Motorsport is tipped for continued success, even if its team boss prefers to take a cautious approach. Years of experience in life and racing have taught him that nothing comes easy, and when it comes to winning championship titles, anything might happen and often does. Aki may have become one of the sport’s most successful managers, but he carries with him the wisdom of lessons learned in earlier years. In the end, the story of Ajo’s personal success, and that of the team he leads comes down to three components – passion, motivation and the knowing that you only achieve success through very hard work.